The World’s Top 10 Best Cupcakes Made With Cadburys Creme Eggs. 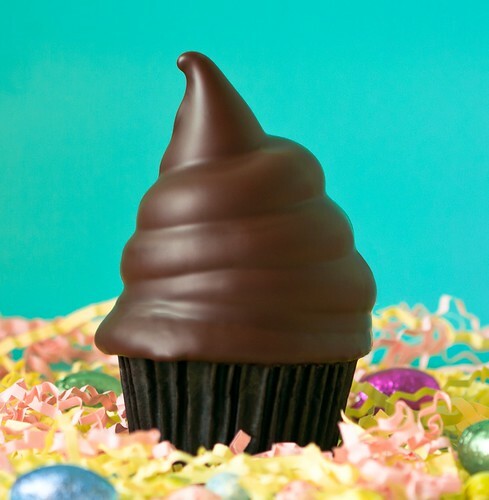 This is what is called a Hi-Hat Cupcake. The top is in fact a marshmallow frosting “hat” but the cupcake also contains a whole Chocolate creme egg under its hat! Sadly no recipe or making guide in the source link but still amazing none the less! These amazing Cupcakes are just what I love. They are messy, not the best looking but you just know they will taste so amazing your whole family will be fighting over them! It is all very well having a great image of a cupcake but most of us will never end up with anything that looks like it should so these look more than prefect. A full guide and recipe is available via the (source) link. Chocolate cupcake, with a creme egg baked inside. What I loved about these ones is that the buttercreme is made using the insides of a Cadbury’s Crème Egg scooped out! Even that sounds amazing to top it off let alone using the now empty creme egg as a hard chocolate lid! Want to make your own? Well get clicking on that (source) link and you will find a great guide and recipe! Here is a strange one for you, these cupcake don’t actually contain any Cadburys Creme Eggs, but are inspired by them! I decided to include them for a couple of reason, they are from a cool WordPress Blogger “Sweet Cherrie Pie“, they look amazing and in the (source) link it has a good guide and recipe. But also while they don’t contain any real creme eggs it would not exist without them, so for that reason it makes my top 10 list. Oh my! While this one is much the same as number 6 the pink icing top makes it stand out just that bit better. Not only is it from a fellow WordPress blogger “The Blissful Bakker” but if you click on the (source) link it will not only take you to a great guide and recipe to making these, but also a rough guide to making much the same thing we saw in number 7! Creme Egg cupcake, with a cracked Creme Egg nestled on top. And Cracked me up they did. Want to know more about these bad boys? Well scroll down and see the “BONUS SECTION” of this post because I actually got to taste one! These rather colourful cupcakes are the work of a fellow wordpress blogger “Hilary Makes” and are definitely one of the best visually. They are very colourful, tasty looking and come with a rather nice guide to make them in the (source) link. How dirty could a cupcake be? What about one made with Real Bacon , a Cadbury’s creme egg & some peanut butter? Well that ladies and cupcake munchers is EXACTLY what you are looking at. Don’t think about it just click on the (source) link, make some, then tell me what they taste like, because I am just not brave enough to try them. Did you enjoy number 3?!? Well the other day after I had already wrote this blog post I decided to pay a visit to the shop that sells them! Did they have cupcakes? Oh yes! And Sweets, and “Mud Pie” Milkshakes! The shop owner was amazing and if you are ever in Bristol, UK why not pop in and grab a cupcake because I can tell you that after having one I know that making it number 3 in this top 10 is very justified indeed. Are these actually mine to go with a cup of coffee? OH YES!! !